George Zornick on gun control, Micah Sifry on Facebook, and Sue Halpern on Trump vs. libraries. Last Sunday’s March for Our Lives shows that having Trump in the White House has made the demands of those wonderful Parkland kids more radical. 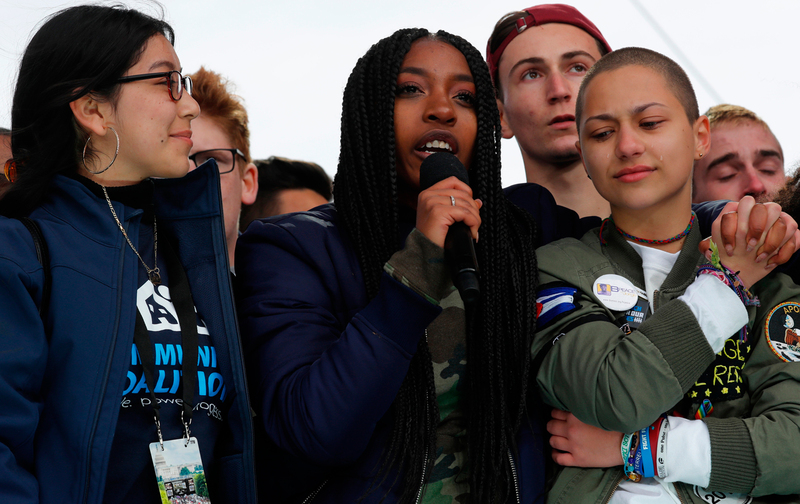 George Zornick comments on the ways the Parkland students have transformed the fight for gun control. Also: It’s time to break up Facebook: That’s what Micah Sifry says, as the Cambridge Analytica scandal has exposed Facebook’s business model—selling users’ data to advertisers, including political campaigns—and raised the problem of monopoly power on the Internet. Plus: Why does Trump want to defund libraries? Sue Halpern explains; her new novel is Summer Hours at the Robber’s Library.